Launched in 2002 by Hansen Natural, Monster Energy Drink is available in a black colored can with M-logo appearing in a green tear-shape. The logo resembles the shape to be torn by a monster's claw. They manufacture varieties of energy drink and mainly distribute caffeine containing energy drinks. Due to the nature of the content of the drinks, the product is not recommended for pregnant women, children and people who are sensitive to caffeine. Corporation of Hansen Natural announced their agreement of distribution with Anheuser-Busch in The United States. Later, in 2012, they announced switching over to Coca Cola for their distribution. 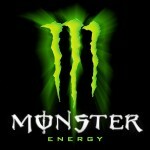 There are currently 0 consumer reviews about Monster Energy Drink available. Share your review. Please take a note that you are about to post a public review about Monster Energy Drink corporate office on CorporateOffice.com. This review will be public, so please do not post any of your personal information on this website. If you would like to contact the corporate offices of Monster Energy Drink, please use their contact information such as their phone number, website, and address listed above to contact them. However, sometimes staff from Monster Energy Drink headquarters do read the reviews on this website.